While they may be known locally and throughout the region for their restaurants, which feature over thirty different pizzas, and their recent addition of a brewery in Grand Forks, Rhombus Guys also proudly pour from a wide array of spirits for sipping or mixing. They also feature twenty different wines by the glass or bottle and a cocktail menu that features craft spirits in staff-created cocktails, including the Jaffa-tini and their Cucumber Pomegranate Lemonade, which were presented to us by John Rian and Michael Paavola respectively. When John explained that this creation was inspired by the legendary biscuit-sized British cake, a smile came over my face and I had to text my wife to invoke a bit of jealousy. 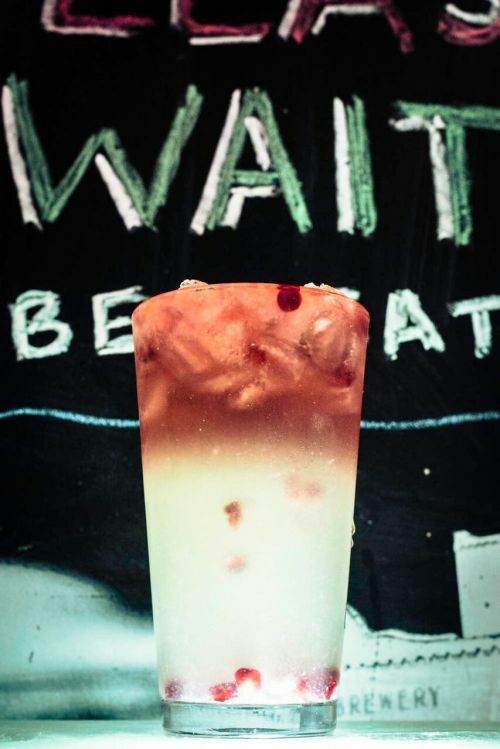 We had just recently finished watching a season of The Great British Baking Show, and I was pleasantly surprised to be served a drink inspired by something I had seen the baking show contestants struggle to create. John too had a bit of a struggle when first approaching this recipe, and he was quick to inform us that the recipe was developed over time with tiny tweaks here and there. For this version, he began by chilling martini glasses with ice and water while he filled his shaker with Stoli Oranje, Van Gogh Chocolate Vodka, Cointreau, a house-made honey syrup, and ice. After a vigorous shake, the contents of the shaker were strained into the martini glasses and a lemon peel was twisted to express the oils, which were then rubbed on the rim of the glass, before John dropped the twist into the glass as a garnish. The chocolate and citrus hit the nose as I lifted the glass to my mouth and the full, cake-like mouthfeel was a nice little surprise. Just like a great piece of baked pastry, the flavors came in layers and while the chocolate flashed and quickly dissipated, it only nearly disappeared while the cookie and citrus came through the slightly chocolaty finish. Michael began by filling pint glasses with ice and then filling three fourths of the way with a house-made lemonade. To this he added a shaken mixture of Pama pomegranate liqueur and Prairie Cucumber Vodka before spooning in some fresh pomegranate seeds, which gently settled as gravity pulled the little red seeds to the bottom of the glass. Though some of the judges let the drink settle on its own while they snapped photos, I chose to stir my drink up to get the flavors mixed well throughout the glass. Though it was still a tasty lemonade, even in December, I immediately envisioned ordering this drink on the Rhombus rooftop when spring weather brings the action back up on their sunny roof. The cucumber brought a fresh and bright flavor to what would otherwise be a pretty simple sweet-but-tart creation. The newest concept from the folks who bring us Lucky’s 13 is a bit more elevated than the pub and grill and if it’s not apparent from the name, it will be the moment you step through the doors. A warm and welcoming combination of dark wood and brick gives it an almost regal feel without being over-inflated or pretentious; and with their Christmas decor up, it certainly added to that ambience even more. A few flatscreens seemed odd at first; but shortly after sitting down I began to feel like it helped impart more of a laid-back vibe. Almost on cue, the moment I put pen to paper to comment on the laid-back vibe, Bob Marley’s “No Woman No Cry” came over the house speakers. The menu features scratch kitchen items, aged steaks, seafood, pastas, salads, stone oven flatbreads, and appetizers, and there are separate lunch and dinner menus as well as a Sunday brunch from 9am to 1pm. Chris approaches craft cocktails with a bar manager’s sensibility and for an establishment like Tru Blu, with a giant curved bar to attend to, that is exactly what is needed. 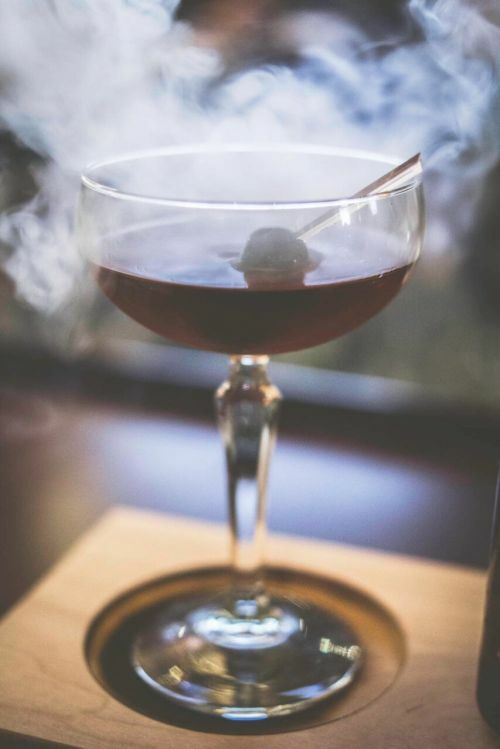 His Smoked Cherry Manhattan is part of a nationwide trend to bring pre-batched craft cocktails that can provide the customer with a great cocktail experience without tying up the bartender’s time and taking him away from the folks looking to order a round of domestic beers. Long before we arrived, his cocktail was sitting in a single serve bottle chilling in the freezer. This ice-cold bottle contained a mixture of Russell’s 10-year Reserve Bourbon, Carpano Antica Formula Sweet Vermouth and the syrup from a jar of Luxardo cherries. When the drink was ordered, Chris brought out a cherry wood serving board that Tru Blu has custom made for this cocktail. 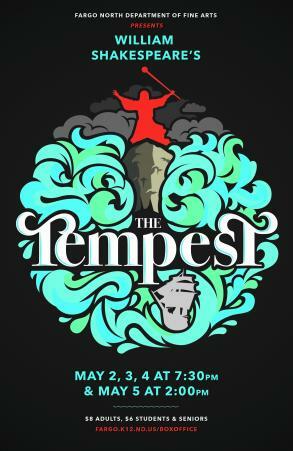 The board was charred with a torch and the coup glass was set upside down to fill with cherry wood smoke. While the glass was filling with smoke, Chris spiked 2 Luxardo cherries with a pick that looked like a tiny ice shard and then balanced the cherries on top of the chilled cocktail in a bottle. As customers, we then lifted the coup glass off the board, which treated our senses to a puff of cherry wood smoke that rose up as we poured the chilled cocktail in the glass. 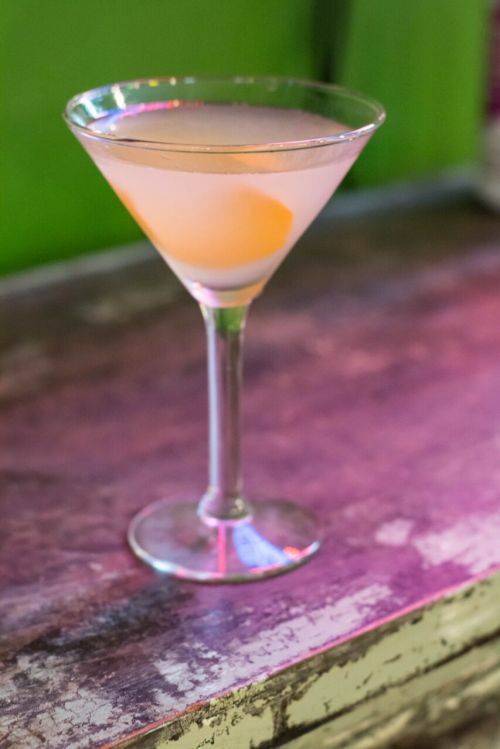 From that point on, it’s a pretty standard, if not well-balanced Manhattan, but often a cocktail is almost as much about the experience as the drink itself. Keeping to the quick but flavorful cocktail model, Chris added Jim Beam Vanilla bourbon, Licor 43, vanilla extract, and half and half to a shaker with ice and then shook it vigorously before straining it into a coup glass. 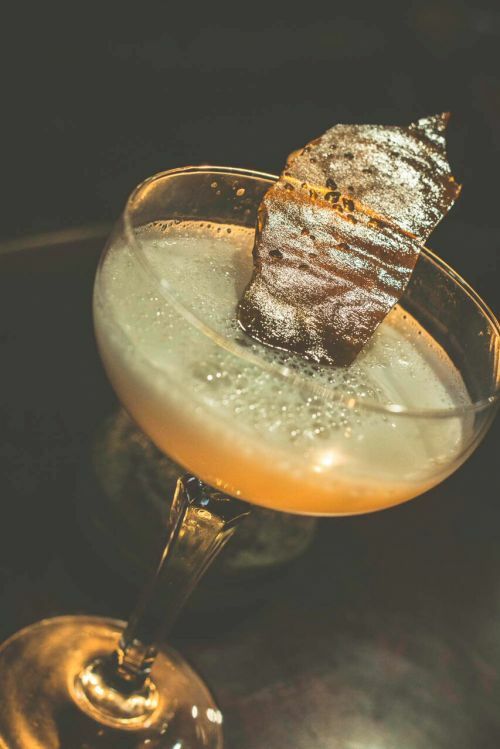 The drink was then garnished with a house-made shard of cooked-down brown sugar shatter. This vanilla pudding in a glass is a perfectly sweet and boozy option for those who prefer to order their dessert as an after-dinner drink. Decadent and delightful, this definitely delivers vanilla and cream in a combination that is dangerously easy to drink.